Hi, lovelies! I LOOOOOVE pumpkin!!! Anything pumpkin. I love squash in general, but, yeah, pumpkin may be my fave squash, along with butternut squash. Acorn squash is good, too. Okay, now I”m getting off topic. LOL! 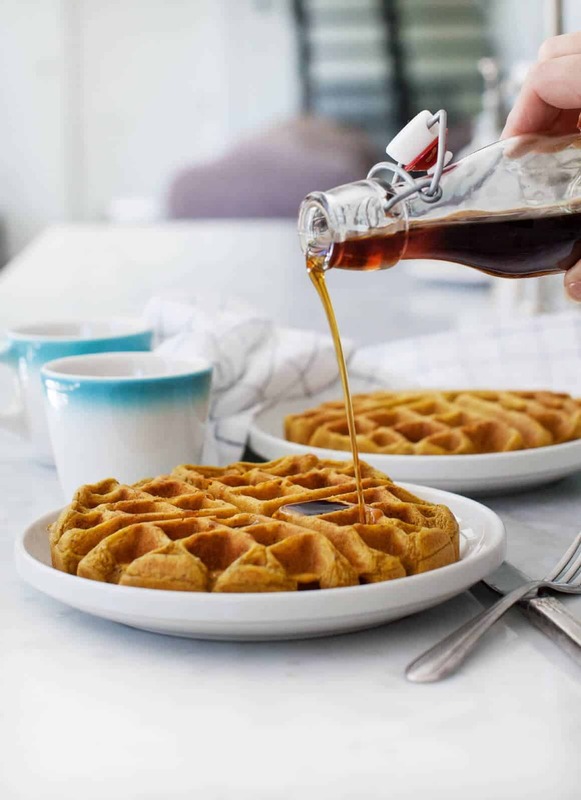 Pumpkin waffles, and they are vegan? You will never know the difference between vegan waffles versus to regular waffles. They cook the same. 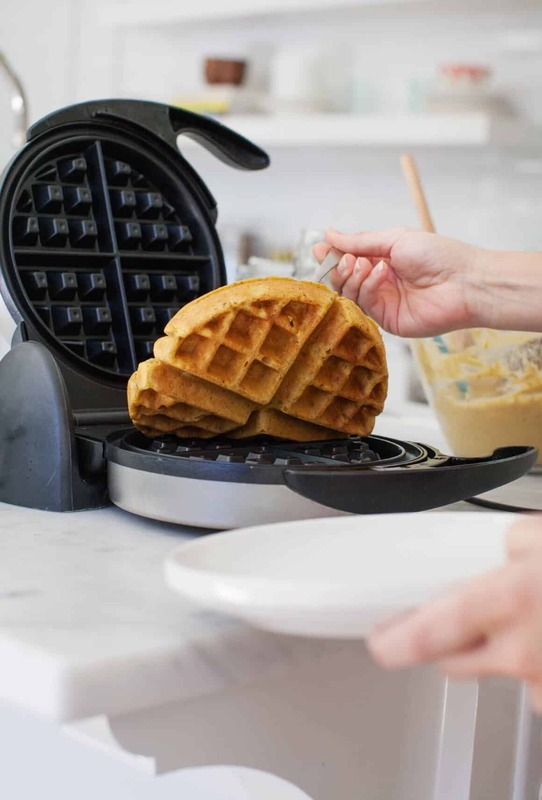 The rise the same in the waffle maker. They taste the same, which means it’s so yummy! And, this recipe allows you to make extras to freeze in your freezer. P.S. did you know that you can freeze pumpkin puree? You can. Up to three to four months. I’ve made this recipe, twice, now. I have to admit, I have a new love, Love & Lemons. I still love you, Oh She Glows! I had found this fabulous recipe. Previous PostPrevious My Itinerary Part Two for When I Visit Home (Toronto), this Spring!